From garage to world market leader. ONI started in the early 1980s and has been writing a success story for three decades now. From the smallest beginnings, a company with more than 465 employees has emerged that has received worldwide recognition and awards for its energy-saving system solutions, but also for its corporate performance. Today, more than 5,240 customers in more than 72 countries around the world, from medium-sized companies to global corporations, rely on ONI's energy-saving technology. The clientele of the family-owned company based in Lindlar in Oberberg includes well-known companies such as Airbus, Audi, BMW, Bosch-Siemens, EnBW, Gardena, Gerresheimer, Gizeh, Hilti, Jokey, Magna, Mannesmann, Mercedes, Salzgitter Industries, S+C, ThyssenKrupp, Tupperware, Warsteiner, VW and ZF. The driving force is the company founder and managing partner Wolfgang Oehm. As a visionary, he had already recognized in the seventies the enormous importance that the topic of energy will have for all of us. As a long-standing plant manager at an injection moulding machine manufacturer and subsequently at a plastics processing company, he developed the world's first heat recovery system for plastics machines at the beginning of the 1980s. This invention alone enables ONI customers to reduce their heating costs by up to 95%! Oehm is not only an ingenious developer with foresight, he is also regarded in the plastics industry as a pioneer and pioneer for the use of energy-saving system technologies. Today, the product and service spectrum ranges from consulting and planning to the turnkey construction of complex, energy-optimised systems in the areas of cooling systems, heat recovery, machine optimisation, patented tool temperature control, ventilation systems, clean room technology and compressed air technology for a wide variety of industrial sectors. Wolfgang Oehm founds ONI-Wärmetrafo GmbH in 1983 in a large garage in Lindlar. In Lindlar (Industriegebiet Klause) new premises with approx. 500 m² floor space are rented. A commercial area of approx. 40,000 m² with approx. 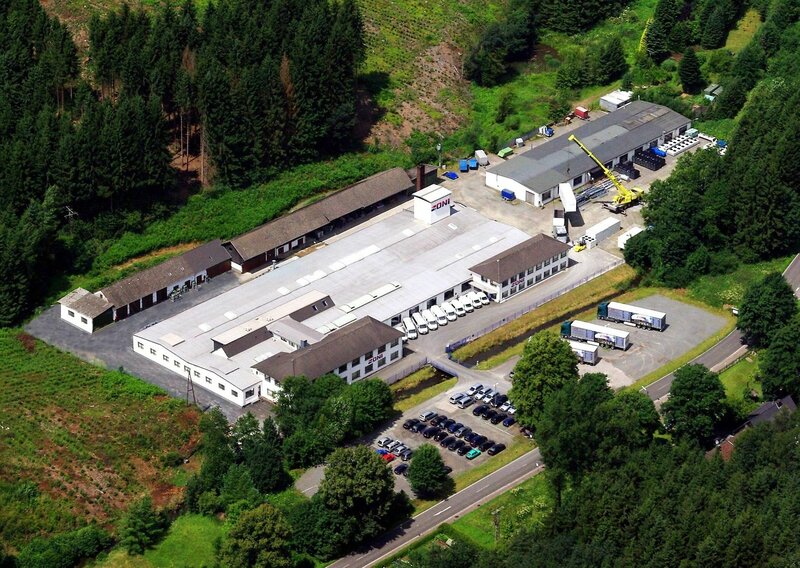 10,000 m² usable space for production and administration is acquired. ONI uses 3,000 m² of this space. Expansion of the production and administration area to approx. 10,000 m². ONI acquires a majority stake in Rhytemper GmbH, a specialist for dynamic mould temperature control systems. The new subsidiary operates under the name ONI Temperiertechnik Rhytemper GmbH and moves into new premises in Großröhrsdorf/Saxony. Inauguration of a new production hall with administration wing with a usable area of approx. 4,000 m². The total usable area thus increases to approx. 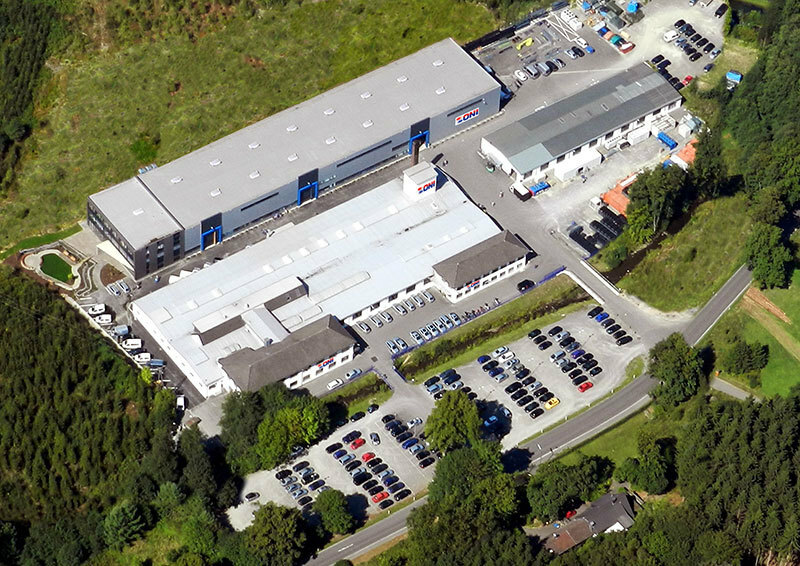 14,000 m² at the Lindlar location. Acquisition of further adjoining land areas, whereby the total land area at the Lindlar location grows to 76,000 m². In early 2017, ONI Energy Saving Technology (Kunshan) Co., Ltd. is founded and moves into a commercial site in Kunshan City, Jiangsu Province, P.R. China. Due to the strong growth ONI Temperiertechnik Rhytemper GmbH moves into new business premises on 26.06.17 with approx. 1,350 m² production and administration area. In March 2018, a new office extension at the Lindlar location is inaugurated, reflecting the steady growth of ONI-Wärmetrafo GmbH.